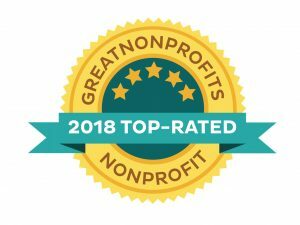 Haiti Micah Project is a top-rated nonprofit! 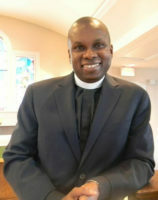 Please remember Haiti Micah Project as you donate to the Combined Federal Campaign. Money will be directed to our feeding and education programs that feed 400-500 children a day and educate over 350 children. Your generosity will unleash the power of food and education for a child living in extreme poverty. To provide life-saving needs of a daily meal, clean water, healthcare, clothing, educational assistance, and vocational training for children and young adults living in Mirebalais, Haiti that will prepare them for responsible lives in their community after graduating from high school. The work of the Haiti Micah Project is dependent on the generosity of its many supporters, and we are grateful for all donations. However, for several reasons, we strongly discourage in-kind donations of clothing, school supplies, personal care items, and similar items. For such items, donors are encouraged to donate money so we can buy them locally in Haiti. Shipping items to Haiti is very expensive and can take months to arrive. Additionally, picking up shipments involves an arduous and expensive round trip from Mirebalais to Port-au-Prince. Most items we need can be readily purchased in Haiti for significantly less than the cost of shipping. Purchasing locally has the added benefit of supporting the local economy. In-kind donations of unique or scarce materials can be considered on a case-by-case basis and, in such cases, we will need additional assistance to cover the costs of shipping. Questions to the Haiti Micah Project can be directed info@haiti-micah.org. A message from Father Constant! Grace and Peace to you from our Creator God! Today is the 8th anniversary of the earthquake that devastated Haiti on January 12, 2010. The earthquake took the lives of hundreds of thousands of Haitians and left many injured physically and emotionally. As we speak, Haiti and other third world countries are under a different form of attack. President Trump’s harsh comments demonstrate pure insensitivity to our brothers and sisters in Haiti and Africa, and diminish persons of color and those less fortunate. Such comments demonstrate a total lack of historical understanding. We should never forget that Haitians have been giving their lives fighting together with U.S. soldiers the since Revolutionary War. Haitians continue to make significant contributions serving in the United States’ armed forces and have given this nation as much as we have received. Now more than ever, Haiti Micah Project needs you to reaffirm your commitment in our shared ministry. I implore you to remain fervent in your efforts to save lives and enable our young people to envision a future living in Haiti. Haiti Micah Project is part of the solution, and we need your continued support. We need your continued financial support to continue the work that we began in 2005. The same needs that existed when we started HMP continue to exist. Instead of 125 children who needed our help then, we now have over 450 children who come to us for food. We need our supporters to keep abreast of the news in Haiti to further understand the challenges that this maligned country faces. Haiti Micah Project is a tiny “island” of security within a tiny country. When you take the time to listen and learn about the challenges and successes in Haiti, you will begin to understand why the work of Haiti Micah Project is lifesaving and life giving. As we have watched the children of Haiti Micah Project grow, thrive, and further their education and career goals we have seen the direct impact of our work. Thank you for your generosity over the years. Please continue to be generous this year. Every donation of any size furthers our work. I pray for God’s continued blessings upon you and your loved ones in the new year. 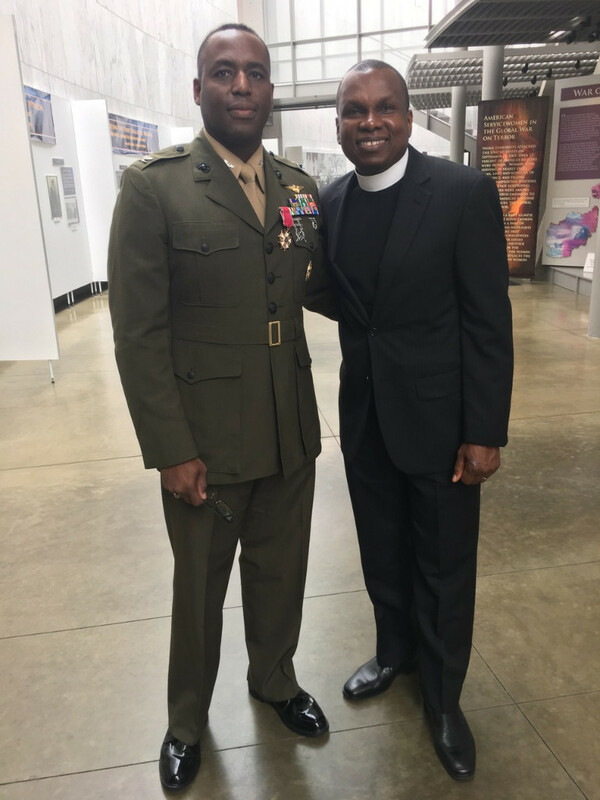 Father Joseph Constant, HMP President with HMP Board Member Colonel Ossen D’Haiti who retired on April 7, 2017, after 27 years of faithful service in the United States Marines with all the honors due to him. The children sing a song of thanks. A message of thanks from Emmanuel. A message of thanks from Jessica.